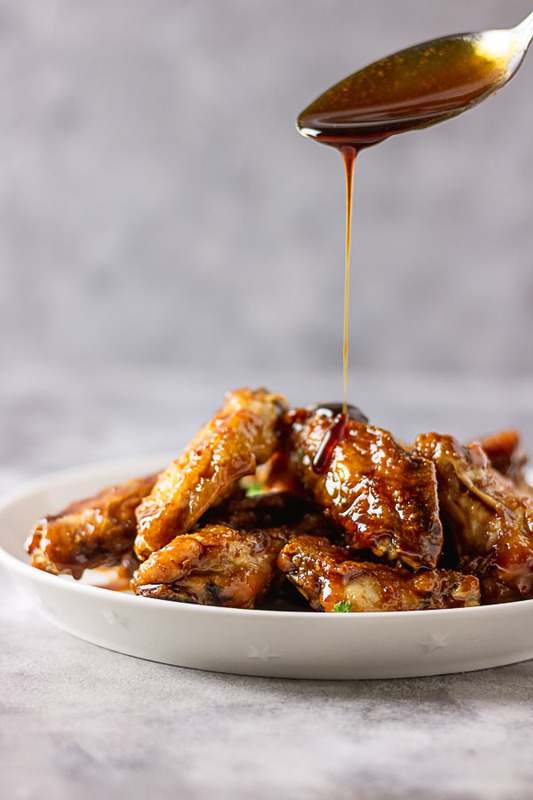 Sticky Asian chicken wings!!! These chicken wings are not only sticky and sweet, they are also crispy and falls right off the bones. This sticky Asian chicken wings is no different, I treated it like a queen. 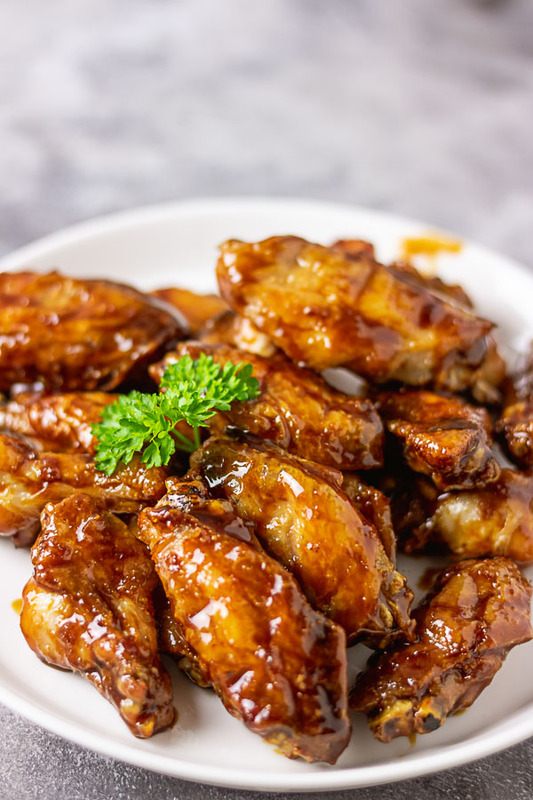 This chicken wings recipe is very easy to make but it does take a while to cook. You can of course cut down the cooking time by frying but I would recommend baking or grilling. I said this because, no one ever eats chicken wings as main meal so I always try to make it a bit heathy-ish to allow for any accompaniment that would be coming with it. 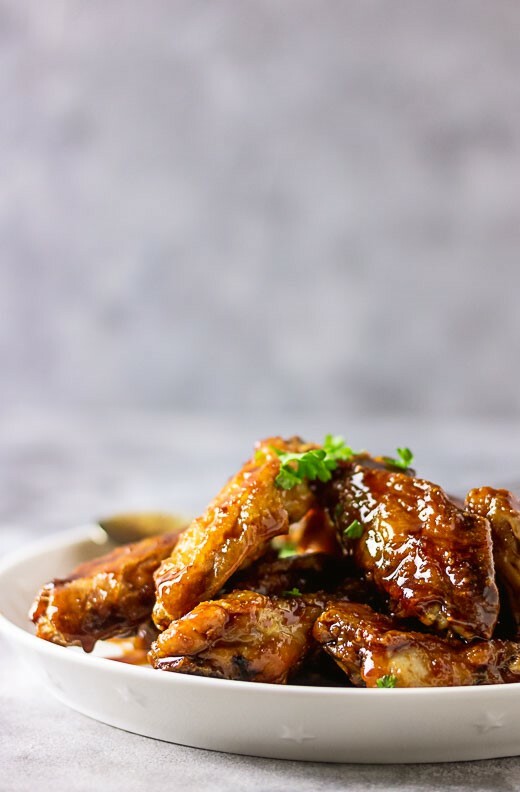 This Asian chicken wings is perfect for all occasions, I have made this recipe with 1kg chicken wings and it would serve 4 people conveniently. If you would be making this for dinner parties, barbecue or any hosting of sort, you can double this recipe. The fun bit about this recipe is that you can easily source the ingredients used in making it. How does this sticky Asian chicken wings work? 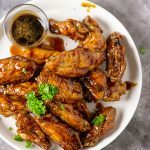 Get chicken wings, season and bake it then coat/toss in the glorious Asian sauce made with soy sauce, garlic and honey. See… it’s so simple and I promise you would ask for more. Do I have to bake the chicken wings? No, you don’t have to, you can fry or grill the chicken. However, you choose to cook the chicken, ensure it is crispy. That way, the sauce sticks to the chicken without washing off. Sticky chicken should be sticky right?? How did you make this crispy from just baking? 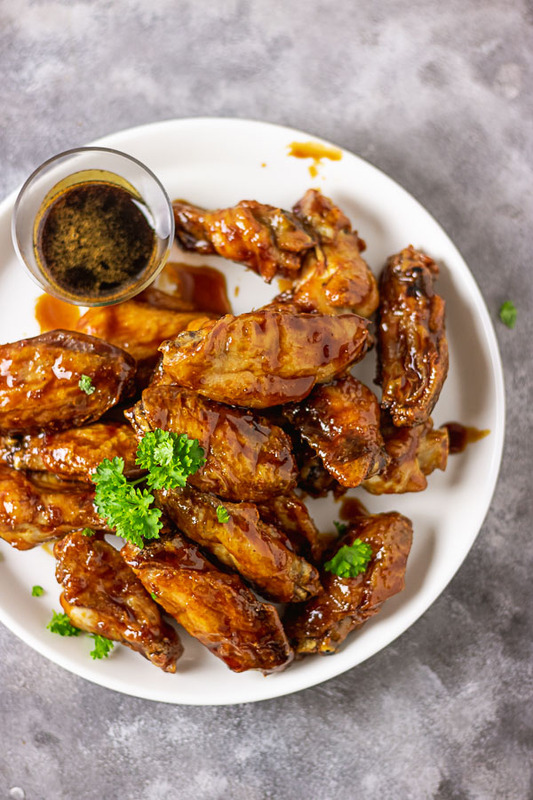 I added baking powder (NOT BAKING SODA) to the chicken wings, see how else I have used it here. Please use aluminium sulphate free baking powder. Only use the recommended quantity otherwise, the chicken might have a bitter taste. 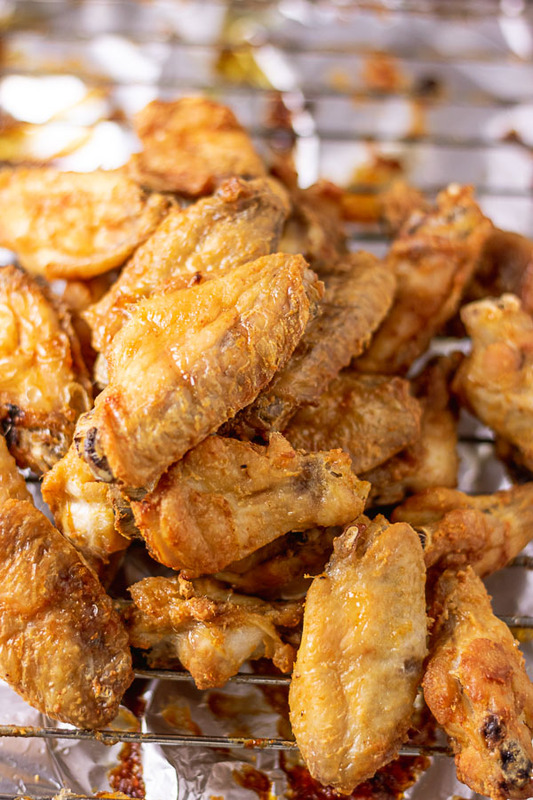 Place the chicken wings on the rack in single layer and bake the oven for 30 minutes. Add honey, soy sauce, 1tsp garlic, chilli pepper to a sauce pan, stir to combine and bring to boil over medium heat. This should be roughly about 5 minutes. If after 5 minutes the sauce is not thick enough, continue to cook till it reduces and thickens more. Add the baked chicken wings into a bowl, pour the cooked sauce over the chicken and toss to combine and chicken well coated.